Super Snouts CBD oils are a supplemental product that may be given to pets to support general health & well-being. They may provide a particular benefit or range of benefits, or help relieve or resolve certain conditions. CBD Oil is a product of the cannabis plant, which is rich in beneficial nutrients. 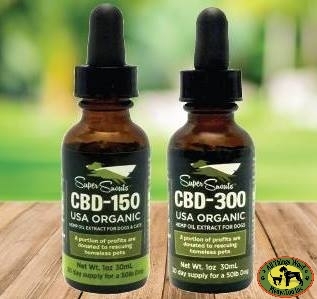 Safe, high quality CBD Oils for pets (like Super Snouts Oils) are specifically derived from hemp plants which naturally contain lower levels of THC (the compound that creates a high) & higher levels of CBDs (the beneficial nutrients). In Super Snouts products absolutely all THC is removed when the oil is purified so it is safe for pets.